The enterprise and education sectors have become distributed across the globe. In the enterprise sector, functional teams are scattered through multiple cities across the world. In the education sector, people are taking advantage of more affordable and flexible online classes from anywhere with an internet connection. However, these advances also created physical distances that are making collaboration difficult. A problem that current VoIP, text, and video-based solutions are failing to solve. Why are these solutions failing? It is because of the lack of social presence these screen based solutions offer. At Doghead Simulations, we believe VR is the key to making these distanced based meetings more effective. With VR you can get back eye contact, hand gestures, positional audio and head movement. These are key social cues that we work with everyday. We recognized the need for a product to fill this gap in the market and built rumii. Our mission at Doghead Simulations is to bring the best collaboration solution to enterprise and education through virtual reality. With over 20 years in the software industry, Mat helped start 4 successful software companies in e-commerce, mobile, entertainment, and Agile project management, achieving a successful IPO, company sale and growing the others to over $700 million dollars in market capital. He is extensively published on how virtual reality is helping the remote workforce and has a background in Social Media Marketing and Counterintelligence, with advanced degrees in both. Elbert Perez specializes in working on innovative content for exciting new platforms. He is a former Sr. Software Prototyper for the award winning HTC Vive, where he works both internally and with external developers to create immersive VR experiences. He has previously worked at Microsoft on multiple narrative innovations for products such as the Xbox One, Windows Phone, SmartGlass and various game properties. Elbert is also an independent game developer with over 20 published games on multiple platforms, including PC, Windows Phone, iOS, Android, and Xbox 360. His games have been downloaded more than 2.5 million times. Chance had his start in the game industry by working on Medal of Honor: Allied Assault. After a successful first game he left to become a co-founder of Infinity Ward, the original studio behind the Call of Duty franchise. Other credits include, Call of Duty 2, the entire Modern Warfare series and Ghosts. Chance's titles have sold over 90 million copies and generated over 4 billion dollars in revenue. In addition to working with art and animation in games, Chance has a background in international media relations and has been featured as a guest speaker around the world. Amber leads up our marketing department and specializes in product marketing, public relations, digital marketing and business development. Amber was previously the CMO and co-founder of Meshfire, an A.I. based social media platform and has worked previously with the video game and music industries. She was voted #2 as Forbes Most Social CMO and has been featured in many publications and broadcasts worldwide. As well as speaking at such conferences as PAX, CES and SXSW. Amanda is a 3D environment and material artist, Amanda has spent the past five years honing her skills. While an artist, Amanda has proven herself in simulation work, creating props, vehicles, and environments. She's also a Course Director with a demonstrated history of working in the higher education industry. She applies her social and organizational skills to teach budding artists how to keep their skills modern with various tools and processes. Amanda has further showcased these skills by helping operate the Game Developer's Conference in San Francisco for the past five years, as well as worked other industry events such as MLG competitions and Orlando IX. 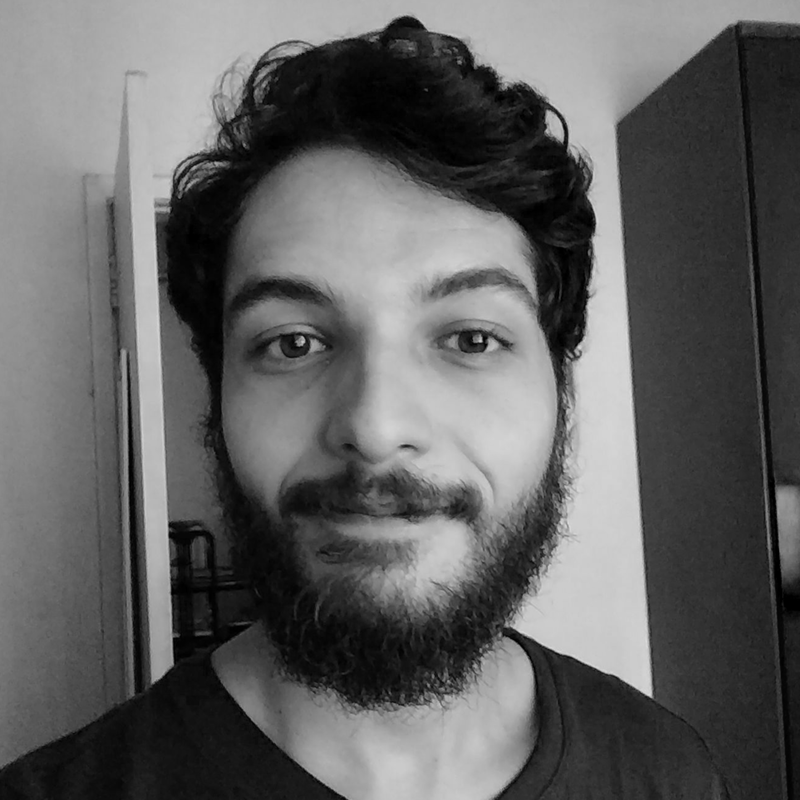 Diego is a 3D artist who has produced assets for gaming companies and various institutions in Brazil. He has a background in character art and environments for companies like Pandora Game Studio. He also collaborated as a freelancer in simulator projects focused on architecture and exhibitions helping to deliver projects through his concepts of art fundamentals and real-time art. Also he has taught modeling classes in some computer graphics schools in Rio de Janeiro. Amanda is a creative designer with more than 12 years of experience. During this time, she worked with some of the greatest brands in the market developing strategies, planning and creation of visual and creative concepts. Besides her brand development skills, she is specialized in User Interface and User Experience. Amanda produces intuitive and compelling design concepts, which result in an engaging and immersive experiences across different platforms. Brandon started his career by attending Full Sail University where he met the co-founders of Doghead Simulations. During the short three years of his academic and professional career, Brandon has created several unique products in extremely fast paced environments. During his time as a Game Developer, his roles included UI Designer, as well as Animation, Gameplay, Graphics, and Engine developer. His goal as a developer is to produce high quality products which better the lives of individuals.